Gift of Esther Westby. LO#42, OA#42. Description Mounted on cardboard. Photo creased. Possibly Magone family. 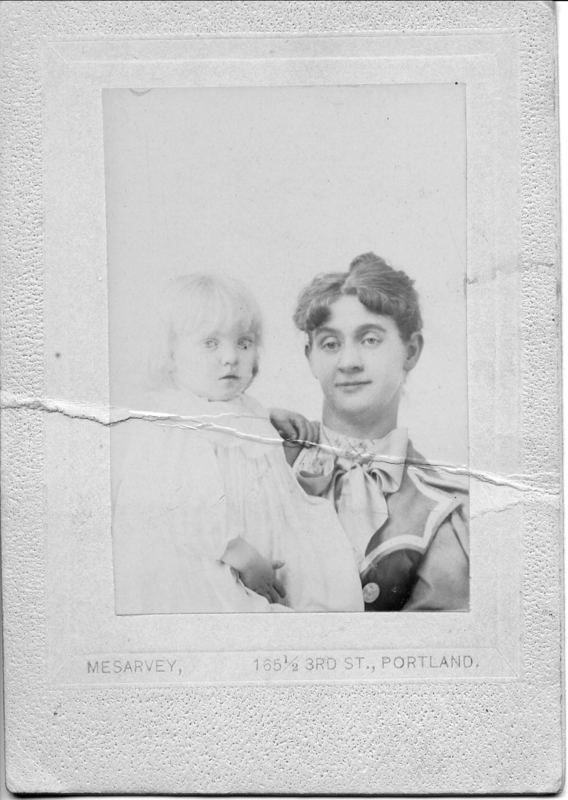 [on cardboard] Mesarvey, 165 1/2 3rd St., Portland. Transcription Gift of Esther Westby. LO#42, OA#42. Physical Description H 4"" x W 3""